Lara Veve oversees the Women’s Community at Flatirons Community Church in Lafayette, Colorado. She’s been married to Eric for 18 years, and they are parents to three teenagers while trying to embrace the beautiful chaos of this season of life. Sunshine, high heels, chocolate and music are some of her favorite things. The best part of her job is the opportunity to observe life transformation as people bump into Jesus and realize they are free, forgiven, valuable and seen. IF YOU HAVE EVER FELT LIKE LIFE’S CIRCUMSTANCES WERE STANDING IN THE WAY OF YOUR DREAM, THIS WAS THE EPISODE FOR YOU. In this interview, Lara talks about the big dreams she had as a child and how those plans got upset by life’s circumstances. 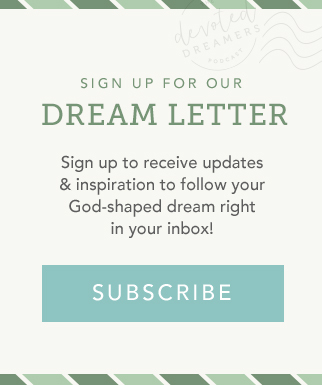 She shares about her fears that make her want to live “inside the box.” She also offers an important reminder that we need to pay attention to the things that make our heart beat a little faster because that’s often where God has planted our dreams. Lara’s story is a such a great example of God’s timing being the best timing. I can’t wait for you to hear it from her! Want to chat more about today’s show? Use the hashtag #DreamerChat71 to share your thoughts wherever you like to hang out online. If you need a question to spark the conversation, here’s one for you: What circumstances or choices do you feel are standing in the way of your dream? IF: Gathering – for resources to gather, equip and unleash women to live out their purpose. 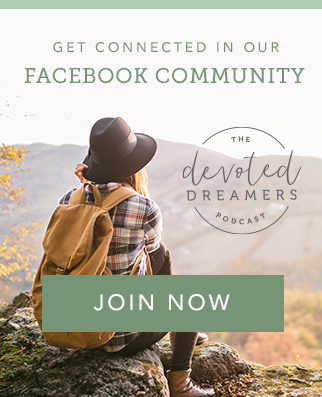 “The Enemy wants us to feel rejected, left out, lonely and less than… if we truly understood our identity in Christ and how to rest in his love… how would this change our confidence to go after our dreams?” ~ Lysa TerKeurst, in Uninvited. Get 15% off your purchase of Sudio Sweden headphones with the code DREAMERS.